Stevia is a sweet herb that is becoming popular as a sugar substitute. It is reportedly sweeter than sugar, so use sparingly. The elongated leaves grow up long stems and white blooms will appear at the top. Don’t think that you have to use Stevia as just a sweetener, it has been used for many years, either fresh or dried, to enhance other flavors too. 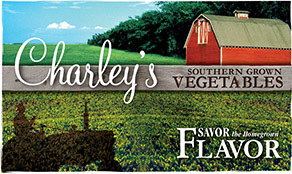 Outstanding Features: Approximately 3 tablespoons of chopped Stevia equals 1 cup of sugar. You can steep Stevia in water and use it to sweeten certain dishes and recipes. Tips: A native of Paraguay, the Stevia plant is an annual and should be planted after the average low is 45° or higher. 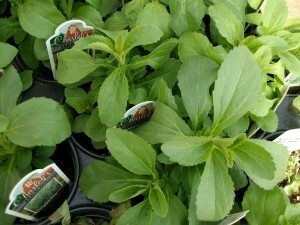 Or click here to buy Stevia direct from www.buygardenvegetables.com. I am looking for Stevia in 4″ pots. Do you grow this plant? Looking for approximately 130 plants.